If you're a fish, then every meal is a risk... what looks like breakfast could actually be the shiny metal hook that ends your life. Luckily, you're not a fish. If you're not careful though, you could still become a Phishing victim. Do you really want to take a bite into your last virtual mouthful and give away stacks of company data, mountains of critical customer information and even the contents of your bank account? Of course you don't. 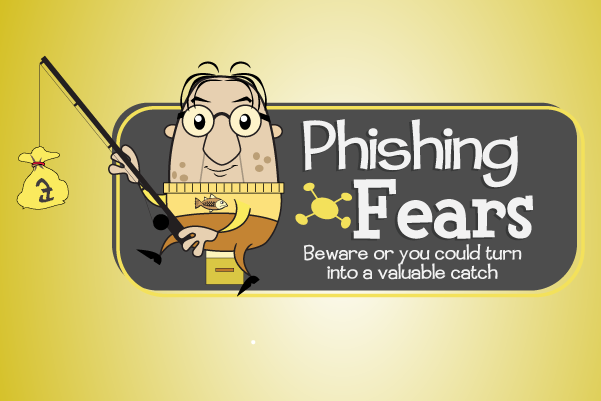 That's why you need to dive into our Module: Phishing Fears. 'Phishers' steal personal information from under your very nose. They're very real, and they’re very dangerous. But don't worry, Bob can help.